Relaxed Performance for pantomime adventure Peter Pan! Birmingham Hippodrome has announced a new, long-term partnership with Darwin Escapes which will support the theatre’s Relaxed Performances in 2019. As part of the partnership, the national holiday homes and rentals company has pledged a significant donation to this year’s Big Give Christmas Challenge in support of the theatre’s relaxed performance programme which includes the high-flying pantomime adventure, Peter Pan. The relaxed performance takes place on 23 Jan at the theatre and is specially designed for audiences with Autism, Asperger’s syndrome and complex disabilities helping them to experience live theatre with their loved ones. 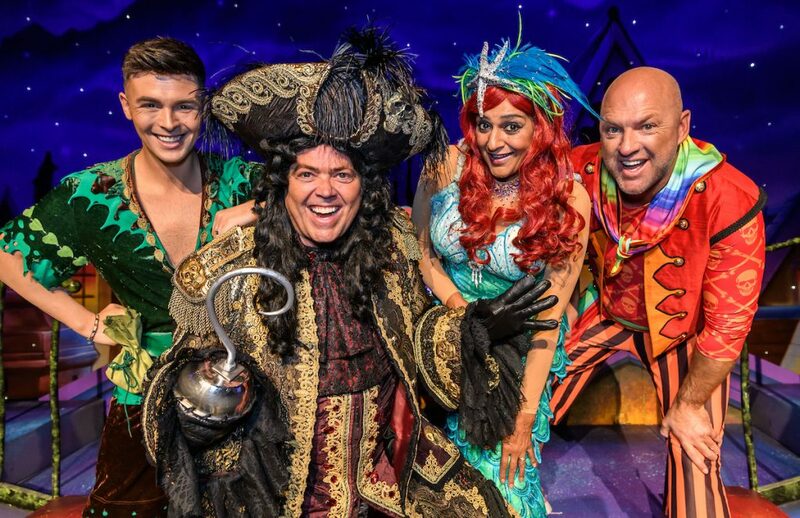 The all-star line-up is led by singing sensation Jimmy Osmond, comedy-actress and TV star Meera Syal, Hippodrome’s much-loved actor and panto star Matt Slack and Union J’s Jaymi Hensley. Joining them will be The Neverlanders, played by the amazing acrobatic-troupe Timbuktu Tumblers and Britain’s Got Talent semi-finalist Sascha Williams as the Drunken Pirate. Lindsey Esse, Managing Director of Darwin Escapes, said: “Darwin Escapes are delighted to be partnering with the Birmingham Hippodrome to support its charitable aims. In particular, we are pleased to be supporting its relaxed performance of the Peter Pan Pantomime, which our own volunteers are excited to be attending to provide practical and fun support on the day. As a charity with no public revenue funding, Birmingham Hippodrome relies on the support it receives from businesses through sponsorship and other partnerships. Judith Greenburgh, Head of Business Development at the Hippodrome, said: “Our programme of Relaxed Performances grows every year and without partnerships like this one with Darwin Escapes they wouldn’t be possible. “For these special performances, we encourage and create an atmosphere where everyone feels safe and able to react to a show as they wish. The script may be simpler, bright lights and loud noises reduced, and we also have calm spaces nearby, with beanbags, sensory toys and bubble lights. We’re looking forward to welcoming volunteers from Darwin Escapes to help make this relaxed performance as memorable as possible”. For more information on our Relaxed Performances or to book, click here.